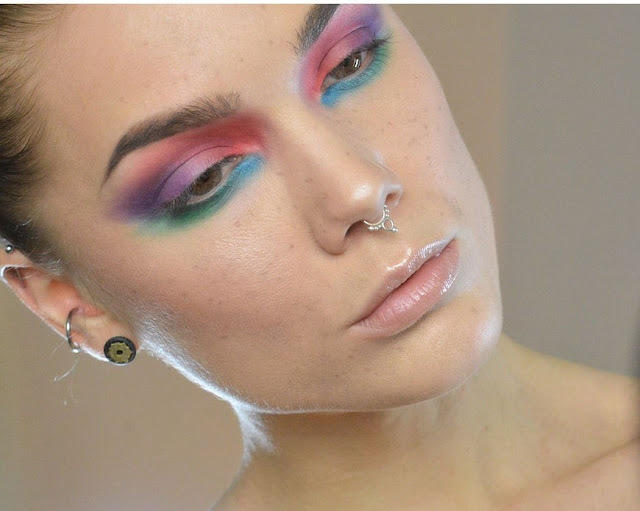 On a quiet Saturday afternoon I set up to do my Paciugopedia3 look for May, a beautiful turquoise inverted liner by the amazing Linda Hallberg (here). My oh my it was a disaster. It turned up really unflattering on my down-turned hooded eyes because it really emphasized the hood. I took it all off and decided to attempt another look from Linda, one that would still challenge my skills but would still be flattering on me. 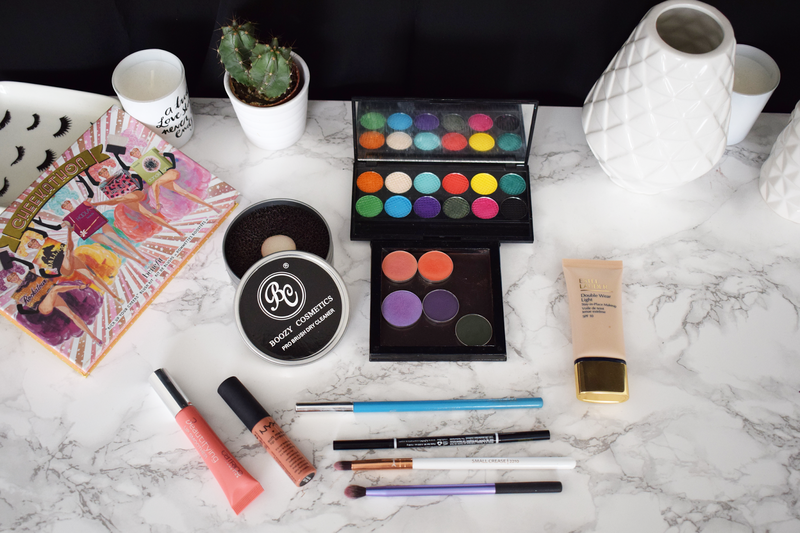 I picked this colourful look inspired by the Chanel SS15 runway. Although I do not shy away from colored eye looks, this features shades that are definitely outside my comfort zone. I hope Svampi from BeautyBats, the creator of this series still passes this as a Paciugo. I used some new bits that really surprised me, starting with the Boozy Cosmetics Pro Brush Duo Dry Cleaner. This is a dupe for the Vera Mona Color Switch and did a great job of cleaning my brushes from the different colored eyeshadows and I ended up using half the brushes I had prepared for this look. Really amazing! Another lovely new discovery is the NYX Micro Brow pencil which granted me a good brow day today. This brow pencil has a super tiny nib that lets you fill in your brows in a very natural but elegant way. Big thumbs up to the second brow product that I try from NYX (find the other here). For this look I used my new favorite foundation, the Estee Lauder Double Wear Light. I think this is the best base I have ever tried in my life. It keeps me matte and lasts longer than anything I ever tried, including the L’Oréal Infallible 24h Matte foundation. So amazing I bought it for my wedding day after trying a sample. A positive note also for the Catrice Beautifying Lip Smoother, a very pleasant non-sticky gloss. It is the only gloss I own and I am happy with it. What do you think of this look? I am no where near Linda’s skills but I had a lot of fun doing this look. Oh and I had to put on mascara even though she didn’t. I felt naked without it, hihi. I hope Svampi will pass me this Paciugo even if it not the sanctioned. Do you ever reproduce looks from other artists?